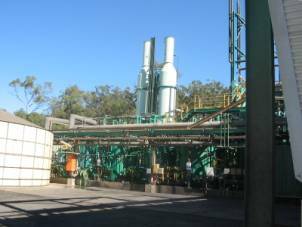 This project involved the decommissioning and decontamination of the TICOR Chemical Company’s sodium cyanide plant in Gladstone, Queensland. All process vessels and pipework both internally and externally were shut down, removed of cyanide contamination and inspected. This was of significant importance for sale of the site. The project involved development and implementation of a project plan, which included management of production and technical personnel in a redundancy environment.